Timing: Best time to arrive is by 11.30am and meet in the carpark for visitor sign in. You will then be taken to the Falconers Shed, for an introduction about the Wingspan conservation programme, followed by a falcon in-flight training at midday. Location: Our new address is 1334 Paradise Valley Road, best accessed from the Ngongotaha end of Paradise Valley Road, and less than a kilometre from State Highway 5. Wingspan entrance driveway is directly opposite the large orange sign 'Velocity Valley' and Amaze Me, you will see a sign 'No Entry - Authorised Personnel only', that’s us! Drive in to the main carpark. Admission: Members and sponsors of the Wingspan programme are complimentary, otherwise $25 adult, and just $10 for children at school. You can pay on arrival, and yes, eftpos payment is available. Pre-purchase of tickets is available online. A small retail section is available, proceeds of these sales contribute directly to the Wingspan conservation programme. Donations are always welcomed. Weather: The flight training display is an outdoor activity. Seating is provided in the farm paddock, with stunning views overlooking Lake Rotorua. In the event of heavy rain, an opportunity to meet a raptor will be provided within the Falconers Shed. Sun/rain umbrella’s are available during your visit. Blankets and hot water bottles are available too if it gets cold. House-keeping: Wingspan main gates are unlocked by 11.15am, no public access after 2pm. Portaloos are available onsite for your convenience – located to the side of the Falconers Shed. For security reasons, vehicles in the car park should be locked at all times. The Wingspan site is not suitable for pets. Photography for personal use is welcomed, however images for commercial purpose requires copyright permission. Health and Safety: The work site is a multiple hazard area as development and construction continues. Children must be supervised at all times. During this development, with uneven surfaces, the site is not yet suitable for wheelchairs. First aid and defibrillator are available onsite. For security reasons, no admittance to the temporary aviaries, cottage, or office areas, and is restricted to staff only. Please be careful when exiting the property onto the main road, there is some limited visibility until the main entrance landscaping and driveway is completed. Through this transition period, it will be mostly business as usual including online retail, donations, research, rehabilitation, education and advocacy. Any questions? Just drop us an email to wingspan.nz@gmail.com. An understated entrance with a few farm paddocks, and modest farm buildings, the Wingspan National Bird of Prey Centre was a real little gem. 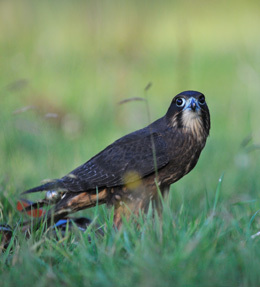 Featuring threatened New Zealand falcons, hawks and owls – Wingspan is a unique conservation programme, nationally significant as New Zealand’s first and only bird of prey centre. Wingspan flying displays will be able to view a museum area and sneak previews into the incubation and service areas, before entering the main aviary – a landscaped, all-weather walkway. Themed with native plants and large aviaries, the new centre will be a very impressive facility of international standard. A real highlight at The Centre is the flying display of falcons and other birds of prey over the surrounding farmland each afternoon. 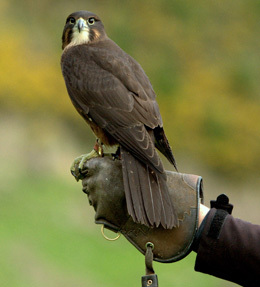 We practice the age-old art of falconry as a method to prepare birds for release into the wild. 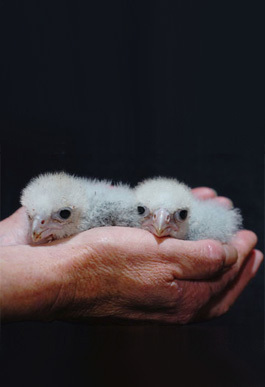 The free flying falcons are passionately described as little ‘spitfires’. Visitors will be impressed by their fast flight, steep climbs and stoops. Visitors will be welcome when the new centre opens later this year. Groups of 16+ will be required to book in advance. Phone to book: 07 357 4469 (9am-4pm daily).